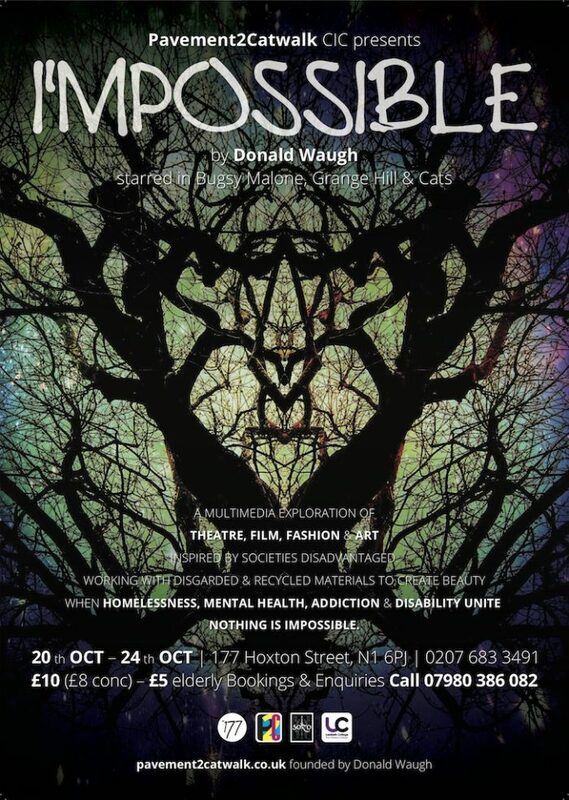 On the 20th – 24th October, actor and charity activist Donald Waugh will host a unique and varied exhibition titled I’MPOSSIBLE. Working with people who have been through homelessness, mental health issues and substance abuse, and disabilities through his company Pavement 2 Catwalk, Donald has created a show which will include live performances, filmed documentaries and physical art. As well as stage managing the event, the exihibtion will feature 2 short documentaries made by myself and Abbigayle Bircham about different projects that Donald has organised over the last couple of months. ‘I’MPOSSIBLE’ directed by Donald Waugh also known for his starring role in Bugsy Malone, Grange Hill and Cats. A thought provoking exploration of Donald’s Journey from Alcohol Abuse to Homelessness to Utter Madness and then spiralling into total chaos. Through divine intervention and a spiritual awakening Donald was given a second chance, a gift of gratitude and compassion to see the world through new eyes. 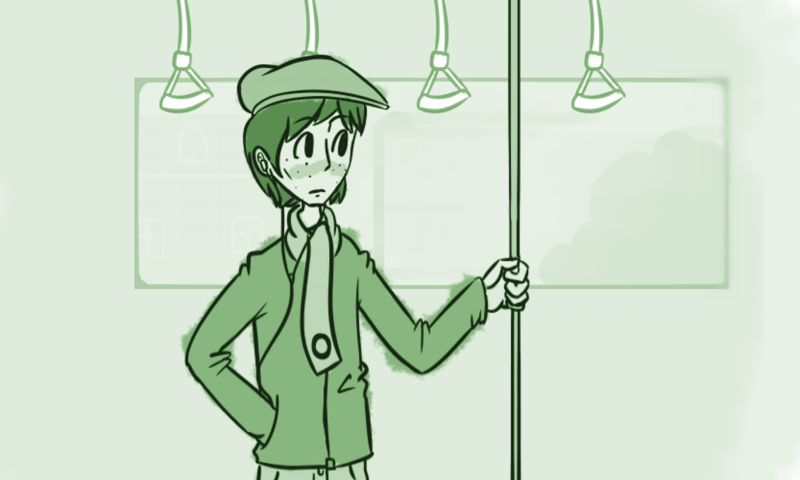 Whilst homeless and on the streets Donald began to see the talent and value of those who were disadvantaged. Donald spent 3 months working with survivors of homelessness, mental health, addiction and disability clients. Using recycled materials to create art and fashion. The exhibition highlights thrown away things by thrown away people. When homelessness, addiction, mental health and disability collide nothing is impossible. The event will take place at Number 177 in Hoxton, London and tickets will cost £10.83 from EventBrite.